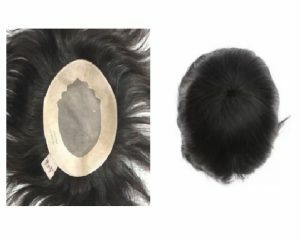 We are one of the most reputed companies who manufacturing and supplying USA base hair patch and wigs. USA base hair patch and wigs are extremely demanded by the young generation. People who follow celebrities, we provide wigs that match with the hairstyles of different actors/actresses. This is way, to your hair will always be natural and shiny. USA base hair patch Knotts is 2.1, so one hair knot would have 2 to 3 hairs. 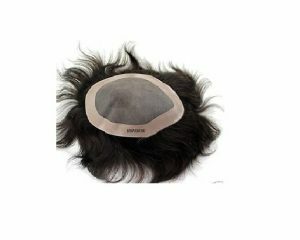 This USA base hair patch and wigs live for 8 to 12 months, depending on care and usage, and with clips attachment. The wigs and patch can also be prepared as the customer’s requirements. USA base hair patch is easy to fix it is very Silky Softy, Smooth, Tangle Free, Gorgeous and no scalp irritation. USA base hair patch and wigs hair length is 4 to 6 inch. Apart from fancy looks and graceful styles, this USA Style Hair Patch is extremely strong and made of pure Remy human hairs. Delhihairloss giving you a superstar looks in minutes. If you want short, long, fine hair you can visit our website. Delhihairloss can immediately provide you with a completely different look without a problem, in this way you can come to be any hairstyle. USA base hair patch is to cover the bald area. It can attach using clips, tapes, and glue. When you wear a USA base hair patch it feels you comfortable. It is the best way to give your wig a long life if you wash it in the correct way. It is also important for men to know how to wash patch and wigs correctly. The patch and wigs want to be taken care of in the correct ways. When you wear a patch or wig, you need to take it off and wash it. If you use the USA base hair patch you can have good hair and look excellent. With good hair, you will be more confident and good-looking. This USA base hair patch and wigs live for 8 to 12 months. It is depending on care and usage and with clips attachment.